thebahamasweekly.com - Ring in the New Year at Flying Fish! 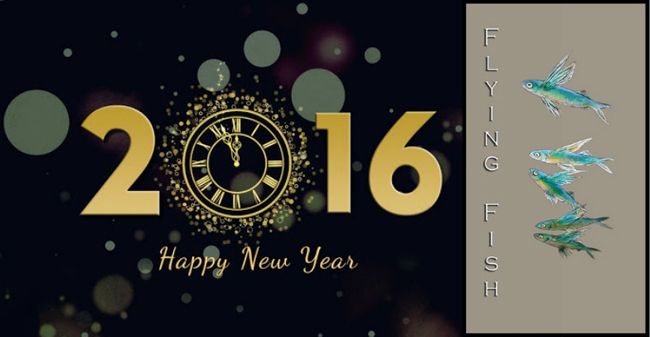 Ring in the New Year at Flying Fish! Freeport, Grand Bahama, Bahamas - We're serving up something special to ring in the New Year at Flying Fish Modern Seafood! Choose one of two menu options; our Classics Menu or our Best of 2015 Menu, featuring the kitchen staff's favorites from the menu in 2015. Each menu is available for $150 per person. Seating starts at 5pm. Book your Reservation today to not be disappointed! Call Rebecca for information at: 242.373.4363. To confirm your reservation a $100 per person deposit is required.